watched “you who came from the stars?” or 별에서 온 그대? 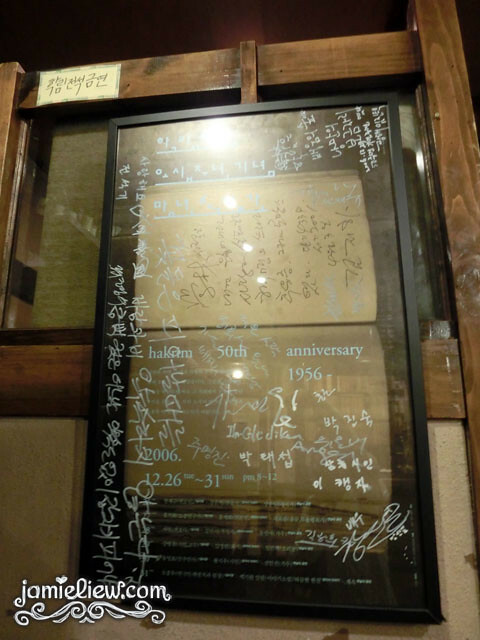 the famous drama had definitely brought a lot of new customers to this cafe despite appearing in several dramas before. 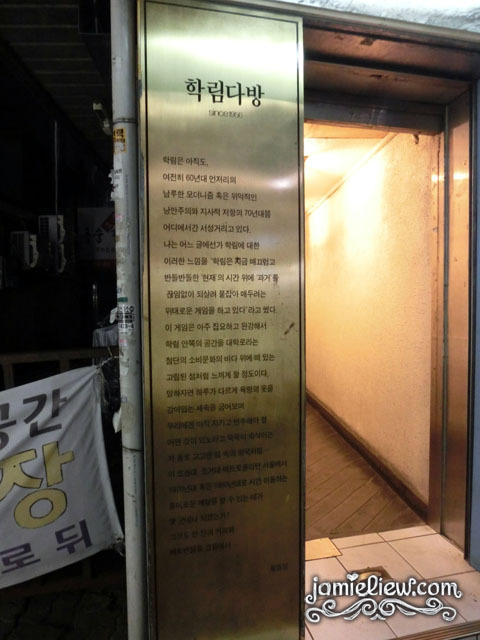 and because of its old history, this cafe was chosen to be the meet up point of “Do Minjun” and his old friend. 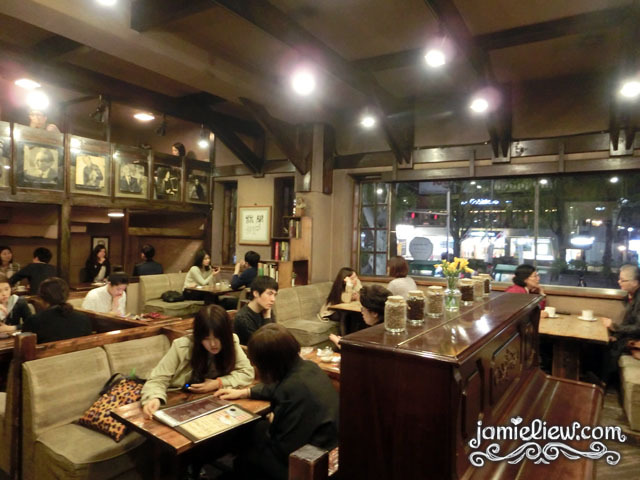 so back to Hakrim Coffee, this cafe was founded in the 1960s and has been around for a longgg time. not sure if the publicity is good or not but this already popular among old folks cafe is now swarmed by young tourists especially from Asia. so do expect to wait if you’re here during peak hours. 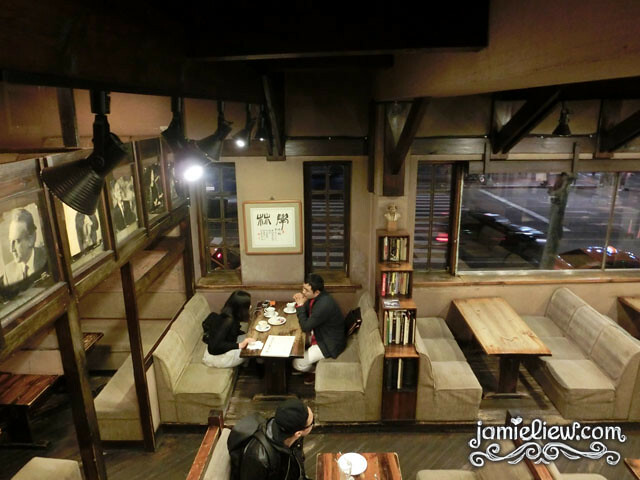 this coffee shop is literally the OLD school type of coffee shop of Korea. 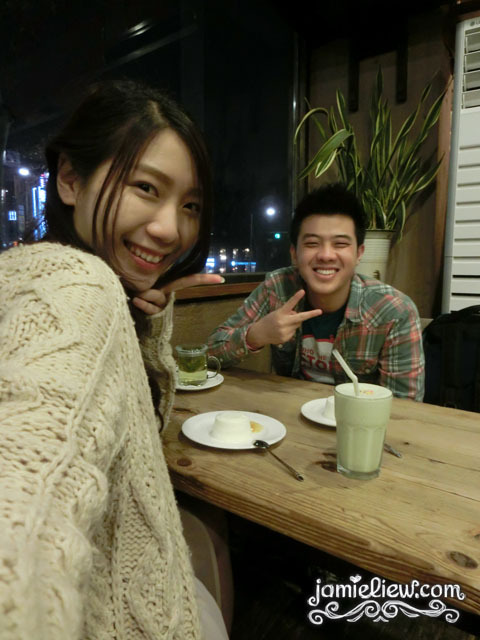 befoer the cafe culture took over Korea not too long ago. 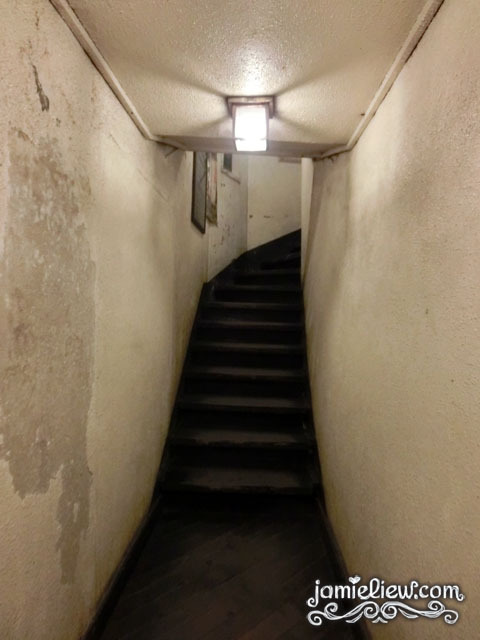 the Hogwarts-like stairway to the coffee shop. 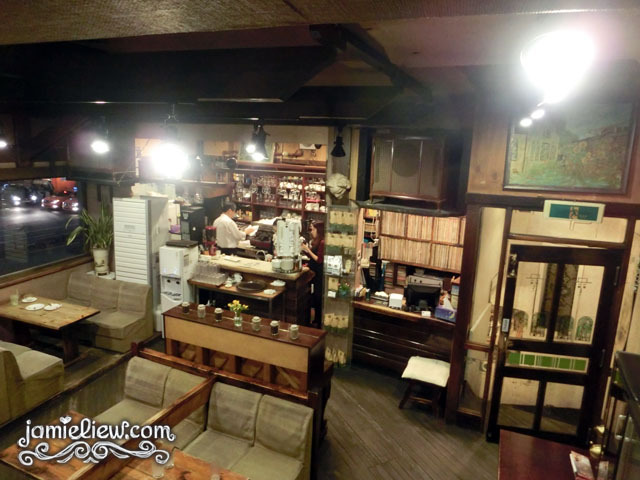 the coffee shop gives out a very comfy and homey feel which was why I liked it. but the only downside of this coffee shop is probably going to be its price. 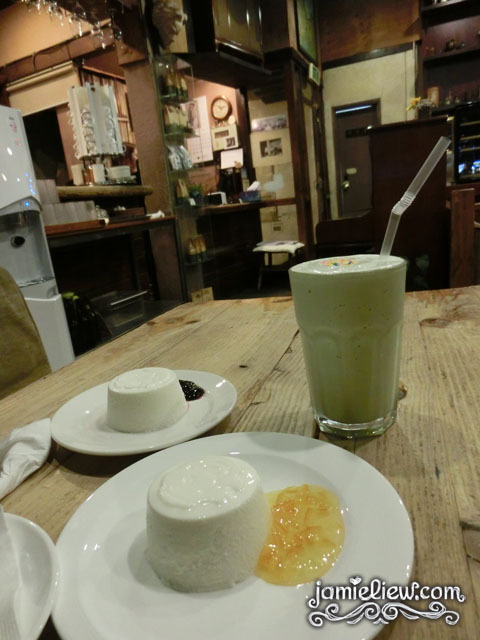 it isn’t especially expensive, but it’s pretty pricey compared to pretty cafes nearby serving yummier drinks. but oh well, you’re paying for the rare ambiance. since I don’t take coffee, it’s always the green tea milkshake for me. or jujube tea or something. their only dessert, the cheesecake. 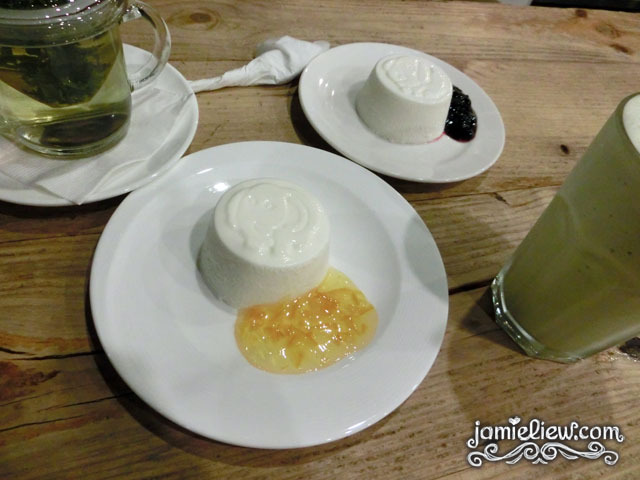 with either yuja jam or blueberry jam. 5,500won was it? not a fan, but better than nothing when you’re craving for something sweet. ohai Jia Hao! you guys must think that I have tonnes of Korean friends, but I really feel most comfortable hanging out with Malaysians. T_T. and Japanese people hahaha. IDK why. Koreans are people whom I see in school. =S. and on dates maybe? =P. 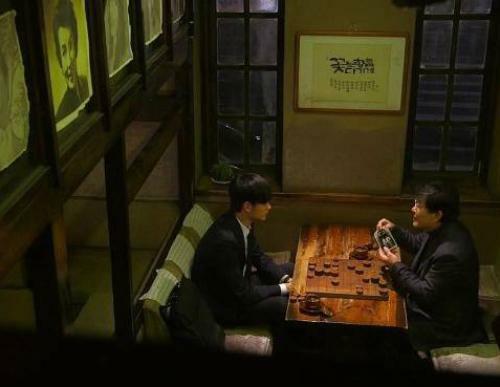 so this is where the drama scene was filmed. this particular seat. which is always occupied the 4-5 times I’ve been there. >_>. look at the amount of signatures hahaha. you can’t deny its popularity even amongst famous people. basically the cafe closes pretty late as it runs as a wine shop/alcohol shop as well. they sell anju (snacks to go with alcohol) for the usual high price and as for the drinks, they are ranged around 6,000won and above. 2014.6.28 | 지도 크게 보기 © NAVER Corp.
here’s the map! very easy to find. just get out of Hyehwa station exit 3, walk towards the opposite direction of the exit and go straighttt! only 75meters away!